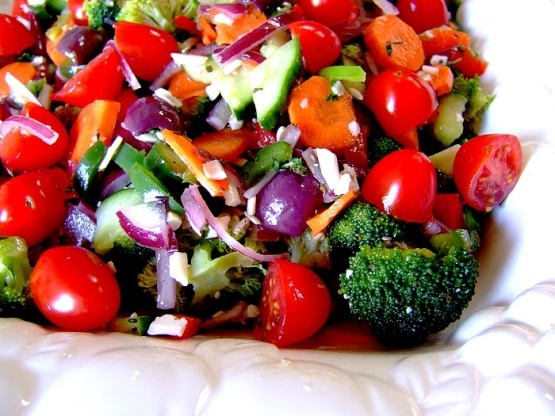 This salad has a nice mix of veggies and black olives and the dressing is wonderful! Make it the night before so the veggies marinate well. Combine all ingredients, except tomatoes, in large bowl. Add tomatoes, season with salt and pepper and toss.